I was like … Good Question! Well a phrasal verb is a combination of a verb and preposition, a verb and an adverb, or a verb with both an adverb and a preposition. A phrasal verb has a meaning which is different from the original verb. That’s what makes them fun, but confusing. You may need to try to guess the meaning from the context, or, failing that, look it up in a dictionary. The adverb or preposition that follows the verb is sometimes called a particle. The particle changes the meaning of the phrasal verb in idiomatic ways. It’s the combination of a verb + a particle (preposition or adverb) resulting in a new word. The new unit is different from the two separate words. I’ve decided to give up smoking. What will she say when she finds out? 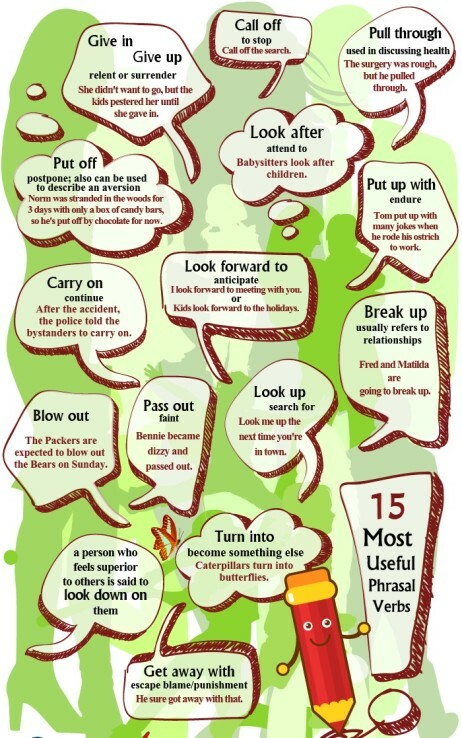 Phrasal verbs are usually used informally in everyday speech as opposed to the more formal Latinate verbs, such as “to get together” rather than “to congregate”, “to put off” rather than “to postpone”, or “to get out” rather than “to exit”. Today in this post we will be discussing some commonly used phrasal verbs along with their meaning and how to use them in sentences. I agree with the chairman that the figures are lower than normal. I look forward to meeting your family next week. concentrate on: to think about something: to give your attention to the thing you are doing, reading, etc. Could I have some quiet, please? I need to concentrate on this email. And now for some example sentences for the phrasal verbs. 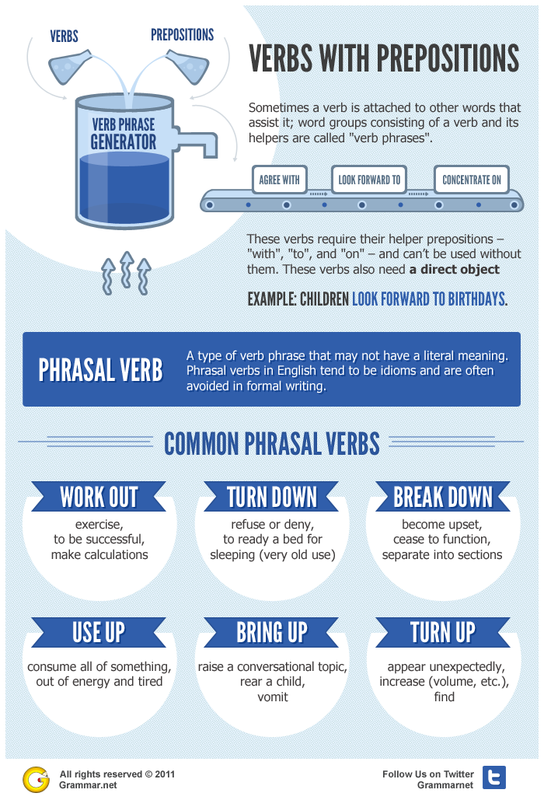 The infographic gives you some of the different meanings of each phrasal verb. I have decided to add more meanings to some of the phrasal verbs so that you can see the variety of ways these phrasal verbs can be used. to solve a problem by considering the facts – “I can’t work out what to do with this situation. to solve a problem by doing a calculation – “I was born in 1956, you work out my age”. to exercise – “I love working out in the mornings”. to be successful – “I am sure that everything will work out in the end”. to decide or agree on something – ” We have worked out when to start our course”. used for saying what the actual cost or value is when you calculate it – “Taking the Eurostar works out more expensive than travelling with EasyJet”. cease to function – “The washing machine has broken down again”. separate into sections –” The task can be broken down in smaller, manageable sections”. relationships or discussion – “The Economic Talks in Beijing broke down after two days”. become upset, especially in public – “People broke down and cried when they heard the news”. make a door or wall fall – “The police had to break down the door in order to enter the flat”. 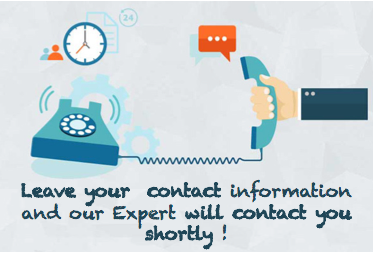 a topic of conversation – “OK, everyone. I’d like to bring up the topic of waste disposal”. raise a child (often used in the passive voice)- “We were brought up to respect our elders”. arrive (often unexpectedly or with no prior arrangement) – “Look who just turned up?” “You don’t have to make a reservation. You can just turn up”. to find (by accident) – “Hey, look what just turned up? I have been looking for these documents everywhere”. to happen unexpectedly- “Don’t worry. Another job offer will turn up when you least expect it”.